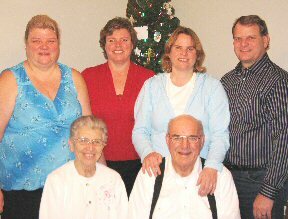 Myrna was an amazing, generous, quirky and loving daughter, sister, wife, mother and friend. She opened her heart and door to everyone. If you were her friend, you were a lifelong friend. She was also the most forgiving person I ever encountered. 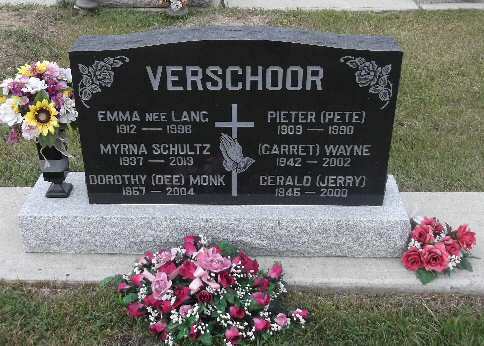 She shares her headstone with her parents, daughter and two brothers. All but Mom and Jerry's ashes were scattered elsewhere. She felt that every person's life should have acknowledgement of their existence, therefore sharing her final resting place. As a young girl she took on the huge responsibility to help her Mom raise her two younger brothers. After she graduated she added a variety of positions to her resume. She was a switch board operator, majorette, waitress and chiropractor assistant to name a few. 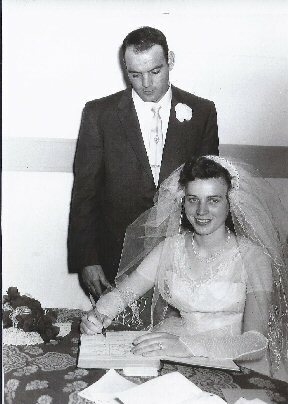 She co-owned Cliff's Excavating Ltd. with my father and worked alongside of him for many years and at the same time ran and managed the concession at the Curling Club in Leduc which also included catering numerous bonspiels. She taught Chinese Cooking Courses as well as Paper Tolle Classes. She was co-owner of Cliff's Landscaping Supplies Ltd., and eventually the sole owner until she sold the business to her youngest daughter, Dawn and her husband Paul Galloway. Myrna had the patience of Job and her passion of her variety of hobbies attested to it. She sewed our clothes as children, did Petty Point Needlework, Paper Tolle, Tokyo Bunka, Quilting, Cross-stitching. She loved fishing, hunting and Gardening. She was a perfectionist and every detail exemplified it regardless of which project it was. Gardening was a lifelong passion. I believe it was also very therapeutic for her. Rain, wind or blistering heat, Myrna could be found in the spring, summer and fall, either planting, weeding or harvesting her garden. She would always have a huge garden so she could share it with family, friends and strangers. Mom's kitchen was always the heart of her home. The door was always opened and she loved to feed anyone and everyone. She very seldom didn't have a small army sitting at her table. She was an amazing cook, and each time she would invite one of us kids for supper, she would ask us what we wanted her to cook for us. It was so difficult to choose because everything she made was so delicious. Occasionally I would ask her to choose between a couple of my favorites and sure enough, when we showed up, she would have cooked all of them. Her grandchildren to this day attest to the fact that nobody can or ever will make a bologna sandwich like Gma Schultz. Everything was better when Mom made it. If you could have asked my Mom what her greatest achievement was, I will guarantee she would say her family. She poured every bit of her being into moulding us to be the type of people she could be proud of. I'm quite sure that in her eyes, there wasn't anyone as wonderful as her kids, except for when she had grandchildren. She loved us all immensely. She was always there for anyone who needed a helping hand. She loved puttering around and there wasn't a job beneath her. 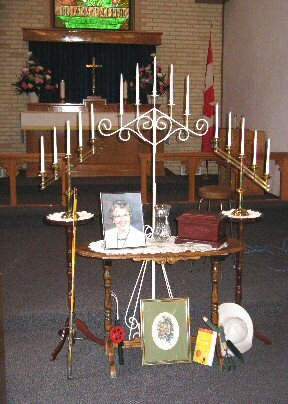 Myrna was the mother to 5 children, 10 grandchildren and 2 great grandchildren. As Mom got older, we would get such a charge out of some of the things she would say and do. She developed a great sense of humour. She would make up her own version of phrases or clichés. An example was when the phrase "toss your cookies" was common, Mom would say "flip your biscuit". We still aren't sure if she said it because she couldn't remember the right phrase, or just to be different and hear us laugh and tease her. To this day we sit around and reminisce about some of the kooky things she said and did. Mom was the winner of a beauty pageant when we were little kids. She had the most beautiful smile and gorgeous green eyes. They were captivating and inviting. These physical features were likely a large reason that people found themselves enticed into seeing and getting to know her kind, generous heart. Mom was one of the strongest women I knew. She battled her entire life for what she believed in. She went to bat for her loved ones in any capacity that she could. She made sure that we were raised in a Christian home. Through her faith and devotion, my Dad also dedicated his life to God. 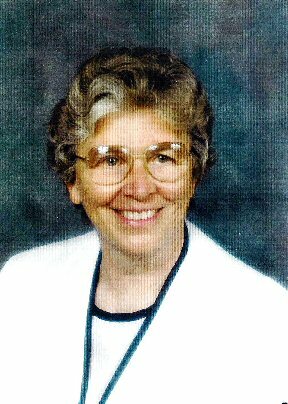 In the last years of her life, she received numerous diagnosis' of health issues. She wasn't given positive results of life expectancy, but her strength, will to live and faith that God was her only physician and he would ultimately decide her fate, kept her fighting for her life and getting the most out of it. She tried to spend as much time with her loved ones and live each day in the blessing it was. She eventually ended up in Palliative Care, and became an amazing testament to God and His mercy up to her passing away on Mother's Day, May 12th, 2013. I could write a book about my Mom. There are so many stories to tell. If I could only explain my Mom in one sentence so anyone reading this would get a real sense of who she was and what she did in her life, it would be this: My Mom, Myrna Schultz, devoted her life to serving her God, her Family and her Country and took such pride and dedication towards each of them. She was loving and was greatly loved in return. She is and always will be missed.